Marcus Allen is a former American football running back and football analyst for CBS. He played professional football for the Los Angeles Raiders and Kansas City Chiefs. He is considered one of the greatest goal line and short-yard runners in National Football League (NFL) history. As an analyst, Marcus LeMarr Allen reportedly earns around $70,334 as his yearly salary from CBS. Further, Marcus LeMarr Allen has an estimated net worth of over $4 million. Marcus LeMarr Allen was born on March 26, 1960, in San Diego, California to parents, Harold Allen, and Gwendolyn Allen. As per his nationality, he is American and belongs to Afro-American ethnic group. Further, his star sign is Aries. He grew up along with his siblings, Damon Allen, and Michelle Allen. Marcus LeMarr Allen attended Abraham Lincoln High School in San Diego, California where he played for his high school football team. After completing high school, Marcus LeMarr Allen enrolled at the University of Southern California and played for the USC football team. 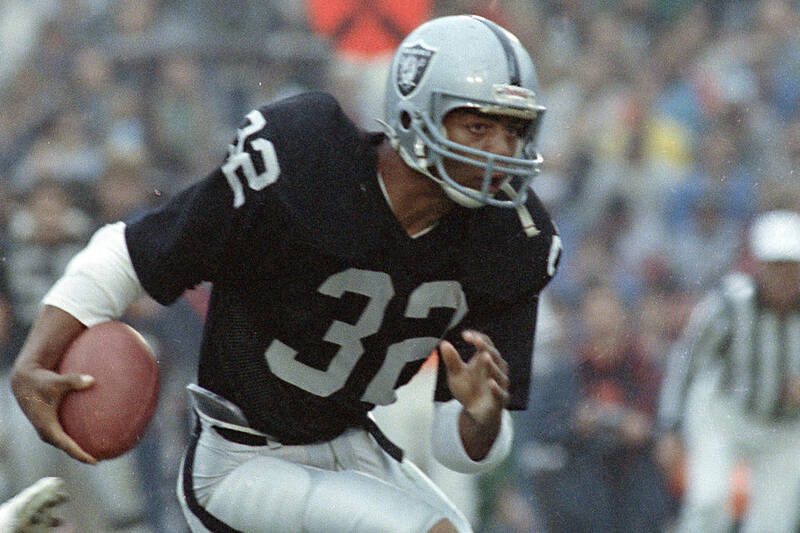 Marcus Allen was drafted with the 10th overall selection of the 1982 NFL Draft by the Los Angeles Raiders. Allen rushed 697 yards and led the Raiders to the best record in the AFC at 8-1. He was voted the NFL Offensive Rookie of the Year. In Super Bowl XVIII on January 22, 1984, Allen ran for 191 yards, caught two passes for 18 yards, and scored two touchdowns against the Washington Redskins. Upon winning the game, Allen joined a small group of players to win both the Heisman Trophy and Super Bowl MVP. 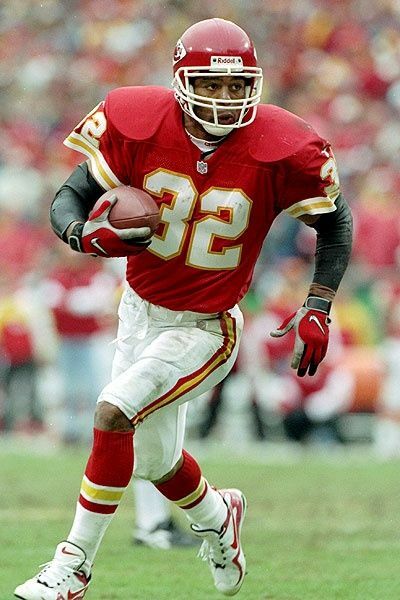 Marcus Allen eventually left Los Angeles and joined the Kansas City Chiefs in 1993. Although he only rushed for 764 yards that year, he scored 12 touchdowns and was named the NFL Comeback Player of the Year by the Pro Football Writers Association. Allen eventually retired after the 1997 season and was inducted into the Pro Football Hall of Fame in 2003. In 2008, Allen joined as a spokesman for the sports website OPENSports.com and wrote a blog and occasionally answered member questions for the company during this time. Marcus Allen married Kathryn Edwards on June 26, 1993, at O. J. Simpson's Rockingham estate. The couple met in 1986 and got engaged after dating for two years. Together, they have a son named Drake Connor Allen. However, the couple got divorced in 2001. Marcus' extra affair with late Nicole Brown Simpson after her divorce with O. J. Simpson, a former American football player who also was Marcus' friend. The claims were made in Faye Resnick's book, Nicole Brown Simpson: The Private Diary of a Life Interrupted. His former wife Kathryn is currently married her husband Donnie Edwards since 2001. Donnie Edwards is a former American football linebacker from San Diego, California. As of 2018, Marcus LeMarr Allen has an estimated net worth of over $4 million. Further, he has an average salary of $70,334 dollars annually from CBS Network. Allen played 16 seasons in NFL and reportedly made millions from his playing career. Kept aside Marcus LeMarr Allen financial earnings, his personal assets includes a Home in Los Angeles, CA. Other than being a former NFL player, Marcus LeMarr Allen is pretty famous in social media. He has 31.6k Twitter followers. Marcus LeMarr Allen was not only a world-class athlete but also has a very attractive individual. The former NFL star is 6 feet 2 inches in height and weighs around 95 kg.